South Africa is a prolifically violent society with a shocking prevalence of child abuse. An example of this is the revelation emanating from the Optimus Study (2016), which set forth that one in three children have been sexually abused. May 27 to the 3rd of June is National Child Protection Week. Richter and Dawes may have composed this article some years ago, but their concerns remain very real, if not exacerbated by increasing inequality with the Gini Co-Efficient (a measurement of inequality) escalating from 0.61 in 1996 to 0.63 in 2016 (South Africa Survey 2018). Indeed, inequality creates a seemingly irreparable vicious cycle of criminal acts against society’s most vulnerable, particularly those with compounded vulnerability such as children with psychosocial disabilities and intellectual disabilities. When it comes to children so-situated the construct of inequality is broader than the economics to which these figures speak. This is because there exists the divide caused by stigma and societal perceptions against them which tragically renders them to a class of exiles, unlikely to ever escape social exclusion and poverty traps. Child Protection Week exists to raise awareness of the plight of children within the Republic and to highlight the need to safeguard their rights to be free from the social ills of which Unicef speaks. It is an opportunity to reflect on the past, to examine the present and to determine what kind of a future we envisage for our children. 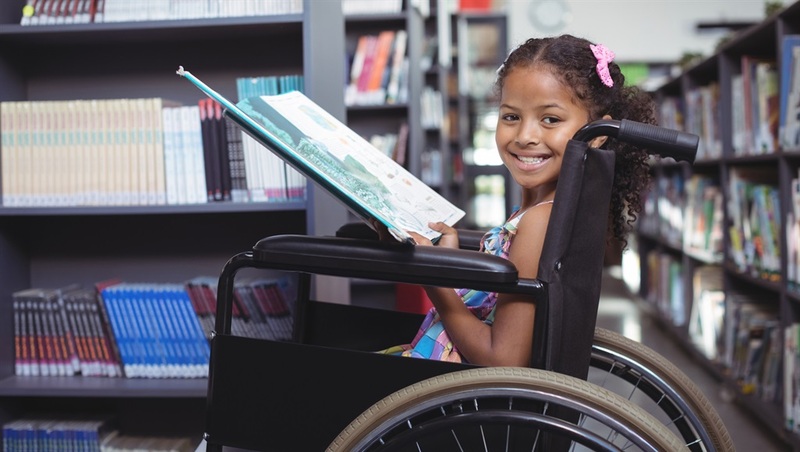 According to the World Health Organisation (2012), children with disabilities are nearly four times more likely to be abused than their non-disabled counterparts. Thus, perhaps the most marginalised demographic – who are also, as indicated, affected the worst by economic and societal inequality – children with psychosocial disabilities and intellectual disabilities need to be propelled to the forefront of the agenda. Earnest and meaningful discussion is required to realise the rights and principles espoused in law and policy. A comprehensive paper trail of legal guarantees is inadequate for these promises to simply come to fruition. Legislation and policy must necessarily be continuously reviewed, revisited and re-examined to take into account the evolving mechanisms by which constitutional undertakings can be achieved. What is required are concrete measures towards equality; that is, placing children with psychosocial disabilities and intellectual disabilities on equal footing with their non-disabled peers in terms of services available to them: professionals equipped to assist them, facilities available to serve them and adequate monitoring mechanisms designed to ensure that incidences of abuse among such children are known and acted upon. Practically speaking, what is there to be done? On a macro-level, and pertaining to economic inequality, there is a need to address poverty reduction holistically. There are clear ways in which systemic changes in this regard will benefit children with intellectual and psychosocial disabilities. More resources means better treatment and a greater chance of recovery or improvement. There are concrete suggestions regarding this but no panacea. This is a much-had debate and will not be addressed. Addressing the type of inequality borne by social stigma is more subtle. For centuries, people with psychosocial disabilities and intellectual disabilities have been dismissed and subjugated. This begins from such time as there is a realisation that the child has a disability and extends into adulthood. Childhood is formative and is a determinant of how a person will function as an adult. If a child is not protected from violence, neglect and exploitation from as young an age as possible – if there is no prevention and early intervention, no emergency services available, no qualified practitioners to assist the child – once they grow into an adult they will only face increased and possibly fatal difficulties from which they can never recover. Addressing social stigma requires education in a nuanced fashion that deploys not only information but also a sense of empathy, a balance that is difficult to get quite right. Organisations like the South African Federation for Mental Health seek to achieve this through interaction with government, corporates, advocacy leaders within communities and other interested parties but there is still a monumental way to go to influence the course of decision-making from all sides. None of this is to say that the system functions adequately in respect of non-disabled children. The child protection system in South Africa is fraught with challenges and services and structures are woefully inadequate. But the availability of services for children with disabilities is much more compromised. Children as a whole are treated as second-class citizens but children with disabilities are treated as though they are invisible: sent from pillar to post and left to fall between the cracks of an already-failing system. Child Protection Week is for all children but extra heed must necessarily be paid to those children who face additional marginalisation. An urgent call to action is required to ameliorate their travail. Times must change in the name of democracy.